Before fake news was even a thing, we had a fake President- and now more "earth-shattering" news has been brought to light. -W.E. The electronic surveillance database, provided to Zullo in late 2013 by a then-confidential informant, Dennis Montgomery, working with the sheriff’s office was apparently created by the NSA as part of the NSA’s illegal and unconstitutional Project Dragnet electronic surveillance of U.S. citizens, first revealed by news reports published in 2005, as further documented by the revelations of whistleblower Edward Snowden in 2013. As Infowars.com reported in June, the decision of a federal court to take the case of former contractor Dennis Montgomery advances the story Infowars.com reported in March that the National Security Agency illegally conducted surveillance of potentially millions of citizens for years, with a database that suggests both Donald J. Trump and Alex Jones were under unauthorized government monitoring. Represented by well-known conservative attorney Larry Klayman, Montgomery ultimately turned over to the FBI 47 hard drives including information he supplied to Zullo concerning Obama’s fraudulent birth certificate and highly classified information he had removed from the NSA. On Dec. 15, 2016, Arpaio and Zullo held a press conference releasing the results of a multiple-year forensic investigation concluding the computer image that Barack Obama released on April 27, 2011, of his alleged Long-Form Birth Certificate (LFBC) was a forgery. The evidence Arpaio and Zullo have now released to Infowars.com strongly suggests the CIA played a role in the forgery. Other data indicates the CIA also breached the University of Hawaii’s extensive records on Hawaii history and genealogy. The IP addresses, both from the Hawaii government offices breached and from the CIA proxy IP addresses used in the breaches. “Montgomery also traced the IP data paths of the breached servers and discovered on a number of occasions information was sent from the breached Hawaii computers, only to be routed to a sever located in Jakarta, Indonesia,” Zullo said. Montgomery brought forward to Arpaio and Zullo the information presented here regarding the CIA breaches of Hawaii government computers that Montgomery alleges was collected while he was employed as a subcontractor for the NSA, working on PROJECT: SPEARIT and various surveillance projects. Zullo explained to Infowars.com that when Montgomery first brought this information regarding the CIA breaching the Hawaii government offices to investigators in 2013, the information was considered a “universe shattering” discovery, especially when this information was paired with other information Arpaio’s investigator already had collected prior to 2013 but had yet to reveal. In specific, while investigating in Hawaii, Zullo had received specific information a person connected to top officials in the Hawaii Department of Health alleging that prior to the release of Obama’s Long-Form Birth Certificate by the White House on April 27, 2011, the Hawaii Department of Health was in the process of forging a birth certificate for Obama. Additionally, Arpaio’s investigators sent to Hawaii were told that this same person had validated to trusted sources that an Obama birth certificate had been forged and that the attending physician named on the forged document was known to be deceased, and was believed to have destroyed all birth records after leaving practice. 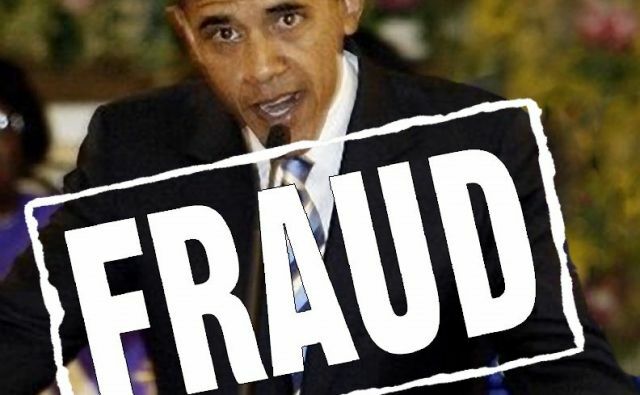 According to this trusted source in Hawaii, a deceased physician with no known archived practice records was considered by forgers to be the ideal physician of record to name on the forged birth certificate manufactured for Obama. Subsequently, Zullo also received credible information from two sources that two different independent hospital administrators in meetings held in 2008, as Obama was preparing to run for president, participated in searches of all hospital records on the island to identify which hospital was Obama’s birth hospital. Both hospital administrators attested that no hospital in Hawaii had any records proving Ann Dunham Obama had been a patient, or that Barack Hussein Obama was born there. “Queens Hospital was the hospital originally named by the Obama family as the birth hospital, but when it developed that Queens did not have records of Obama’s birth, the family shifted to story to claim Obama was born at Kapiolani Hospital, Zullo told Infowars.com. “Queens Hospital quickly reported publicly that Obama was not born in their hospital,” Zullo continued. “The admission of Queens Hospital that no birth record existed presented a serious problem for the already belabored Obama birth narrative,” Zullo said. Kapiolani refused to comment neither confirming nor denying Kapiolani Hospital was Obama’s birth hospital,” he stressed. “To date, Kapiolani has not produced a single shred of evidence that any original birth records exist, nor has Kapiolani Hospital ever produced any supporting documentation or released any information that proves Stanley Ann Dunham was a patient at Kapiolani in August 1961 who gave birth to a son, Barack Obama, supposedly born on Aug. 4, 1961,” Zullo insisted. Adding further skepticism surrounding the validity of the Obama Certificate, was the fact that Hawaii Gov. Neil Abercrombie gave an interview to the Honolulu Star-Advertiser in 2011, announcing he had launched an investigation into the matter of Obamas birth record, promising he would be able to locate the original copy of Obama’s long-form birth certificate (LFBC) that he would subsequently make public. As of 2011, Abercrombie did not report to the newspaper that he or the Hawaii Department of Health had found Obama’s Long-Form Birth Certificate. To the contrary, he only suggested his investigations to date had identified a rather obscure listing or notation of Obama’s birth that someone had made in the state archives. Abercrombie did not report to the newspaper that he or the Hawaii Department of Health had found Obama’s long-form, hospital-generated birth certificate (LFBC). The governor only suggested his investigations to date had identified an unspecified listing or notation of Obama’s birth that someone had made in some unspecified archive. Zullo discounted Abercrombie’s 2011 claim. “If Abercrombie’s allegation is to be believed, it is apparent that what Abercrombie claims to have discovered was an unspecified document or some type of written indication of Obama’s birth event that someone would have made over 50 years ago on a piece of paper found buried in some archive out of the customary chain of custody for official vital statistics birth records documents,” Zullo told Infowars.com. Zullo stressed the achieved document Abercrombie claimed to have found has never been made public. Zullo has many concerns about the validity purported document if it even exists. “There has not been any type of verification of the story let alone the authenticity of the documents,” he said. “What is clear from Abercrombie’s statements is the fact that he could not locate the original vital record at the Hawaii Department of Health, in other words, there was no Long-Form Birth Certificate located in the file vault at Hawaii Department of Health in 2011,” Zullo pointed out. “Had an original Long-Form Birth Certificate existed for Obama, I would have thought Governor Abercrombie would have been able to locate it rather easily,” Zullo concluded. Zullo went on to point out that a written statement of former Hawaii Director of Public Health Dr. Chiyome Fukino issued in October 2008 cast further doubt that an original 1961 LFBC for Obama ever existed in the Hawaii Department of Health archives. “Therefore, I as Director of Health for the State of Hawaii, along with the Registrar of Vital Statistics who has statutory authority to oversee and maintain these type of vital records, have personally seen and verified that the Hawaii State Department of Health has Sen. Obama’s original birth certificate on record in accordance with state policies and procedures. Again, Zullo was not convinced. “That statement would indicate, if true, that Fukino simply walked in to the file vault at the Hawaii Department of Health, went to the shelf containing the bound book volume holding some 500 certificates including Obama’s, located it inside that bound book, touched it, and returned the bound volume back to its proper place, back on the shelf along with 500 others,” Zullo argued. But for Zullo, the problem was Fukino’s and Abercrombie’s timeline. Zullo explained to Infowars.com that this investigatory background lent credence to Montgomery’s claims in 2013 that the CIA or some other government actors had covertly breached Hawaii government computers looking for original and authentic Obama birth records. “The CIA breach would also enable the undetectable insertion of fraudulent digital information of a fictitious birth event to be surreptitiously implanted into the Hawaii Department of Health vital records computers database,” Zullo stressed. “Once the fictitious record has been created that would allow an unsuspecting clerk to simply locate the fraudulent record in the computer database and print a computer-generated Short-Form Birth Certificate (SFBC) without ever verifying the existence of the original Long Form Certificate (LFBC) in the file room vault,” he explained. “Hawaii did in fact originally produce a Short-Form Birth Certificate in 2008. In an attempt to quell the growing controversy and to satisfy the questions surrounding the Obama birth narrative, a Short-Form was released in 2008 during Obama’s presidential campaign.” Zullo recalled. “However, that was a digital record and not an original Long Form Birth Certificate. This did not satisfy the growing number of skeptics,” Zullo added. “In various discussions with Montgomery, he suggested ‘three-letter agencies’ had the ability to not only hack into a computer network unnoticed and to download information out of that computer network undetected, but also had the ability to upload information into a computer, again undetected” Zullo explained. “That upload capability would allow the implantation of completely fictitious or altered information at will,” he stressed. “Once implanted, this would grant an unsuspecting clerk the ability to create and issue a Short-Form Birth Certificate that was retrieved from Hawaii Department of Health legitimate computers in accordance with Hawaii Department of Health procedures and customary practices. Zullo explained to Infowars.com that Montgomery has turned over this information along with 600 million records illegally obtained by the federal government to the FBI under an immunity agreement over 2 years ago. Zullo stressed that Montgomery’s information does provide a possible scenario in which government operatives would have had the ability to inserted Obama’s birth records electronically into the Hawaii government official database by breaching the Hawaii government computers without detection of the intrusion. While it may have been easy for the Hawaii Department of Health to produce a Short-Form Birth Certificate from the information now located in Hawaii’s electronic vital statistics database, the problem came when Obama was forced to produce his Long-Form Certificate of Live Birth. Zullo concluded. “That’s when the White House released to the public via the internet a computer-generated PDF File of a purported Long-Form Birth Certificate claiming to be a copy of Obama’s birth records located in the Hawaii Department of Health vault on April 27, 2011. Because of this, Zullo insisted the PDF file released by the White House on April 27, 2011, as Obama’s legitimate Long-Form Birth Certificate has zero legal probative value and as such cannot be considered an official document created and certified by the issuing State as called for by statute. As noted above, on Dec. 15, 2016, Sheriff Arpaio and Chief Investigator Zullo held a press conference to announce the conclusion of their forensics investigation that established the long-form Hawaiian birth certificate that President Obama released in a White House press conference on April 27, 2011, was a forgery. The video of the Dec. 15, 2016 press conference can be seen here. The White House had claimed the Long-Form Birth Certificate released on April 27, 2011, was a computer copy of the original Obama birth certificate, dated Aug. 4, 1961, that the Hawaii Department of Health has never released publicly, but claims to have in a Department of Health archives vault maintained in Honolulu. At the press conference, Zullo showed a video of Obama’s birth certificate alongside one obtained from Johanna Ah’Nee that forensic experts said contained “nine points of forgery,” establishing that Obama’s Long-Form computer-generated birth certificate released by the White House on April 27, 2011, had been copied from Ah’Nee’s birth certificate.